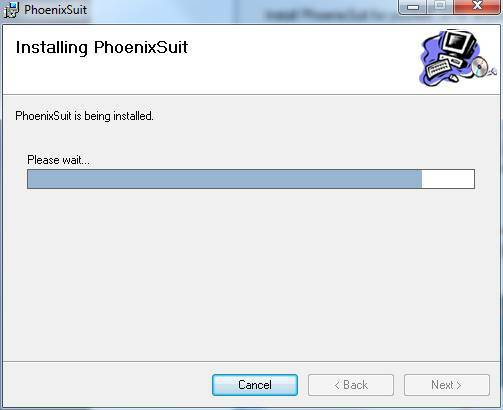 Here it will be prompted to install driver, select NEXT for installation. 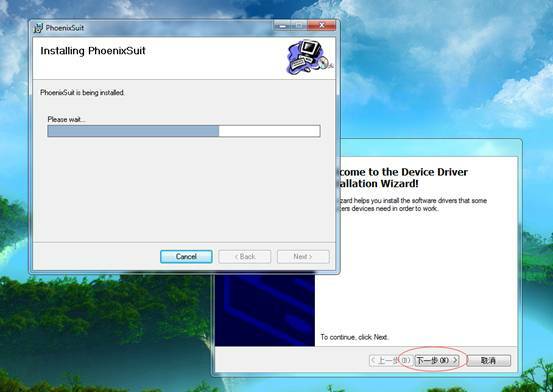 And then to install, the following interface shows it’s successful to install the driver. 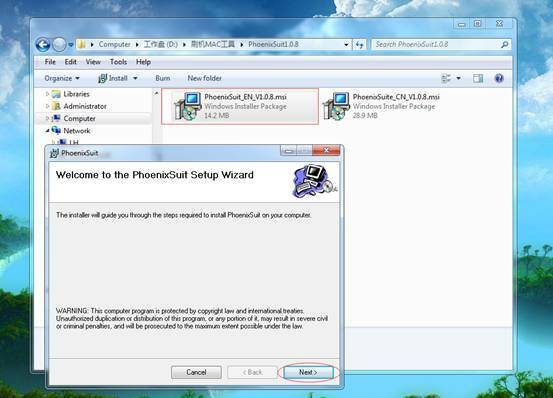 Click “Finished” and continue to install flash software, it shows that all of the firmware upgrade tools have been successfully installed as follows. 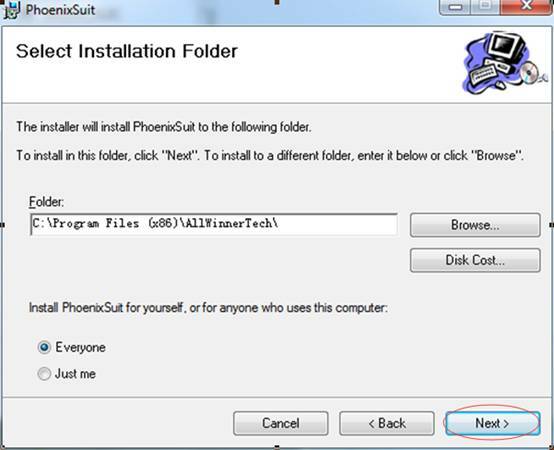 Step 1: Open the flash software PhoenixSuit, click Firmware>>Image, then select the Image flash package that downloaded on the computer (As pic.). 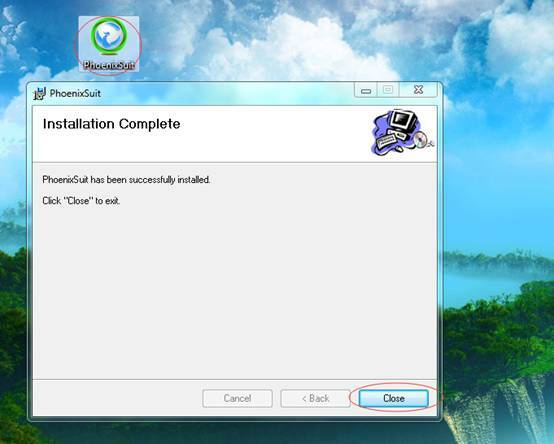 Step 3: After connecting, on the prompt pop-up, go on selecting “Yes”, it will begin to flash. The firmware has been already upgrading. 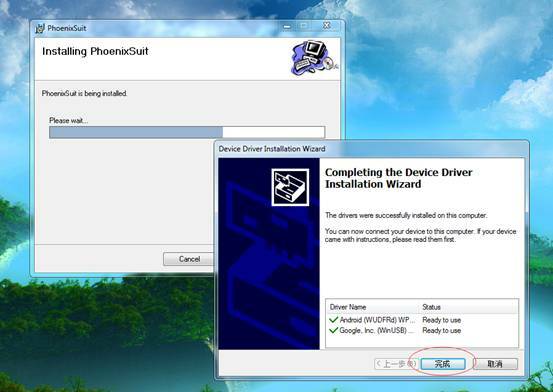 Firmware upgrade successfully, then connect your TV, and let the box turn on, just wait to enter system. 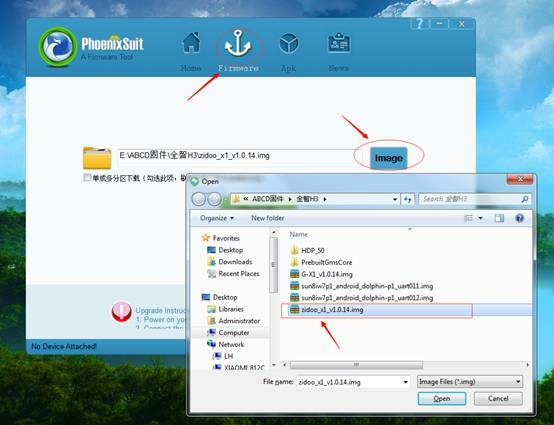 At this moment, flash process is totally completed. 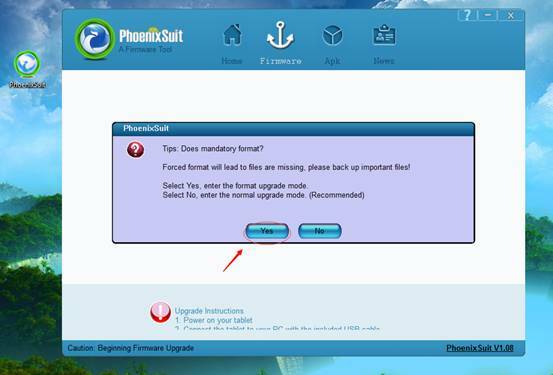 Part 4: Upgrade online, download the firmware to update, it’s the same as the local OTA upgrade. 3. 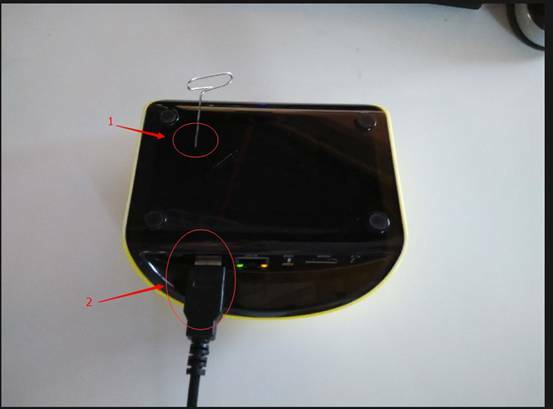 It will be slowly for the first time to turn on after flashing, please wait a few minutes; It can flash again to reset, if it can’t enter the system.